Chock full of gorgeous residences and lush landscapes, Cleveland is brimming with both classical beauties and homes dedicated to showing off the hottest trends. 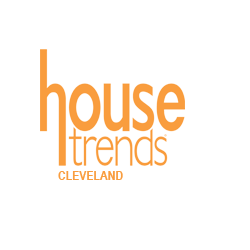 At Housetrends, we are dedicated to exploring and showcasing the finest, most exciting and interesting homes and gardens in the area and sharing them with you. A standout among other major American cities, Cleveland is most notable for its wonderful lakefront, 20,000 acres of MetroParks, neighborhoods rich in history and, of course, the beautiful homes! From new mansions that grace the shoreline of the western suburbs to the New England charm of the Chagrin Valley, our area boasts homes that are absolute gems. Every issue of Housetrends promises stunning photos of beautiful area homes, plus in-depth articles—and accompanying resources lists with detailed product information—to help inspire ideas for your next building or home improvement project.